One of the most loved Myphone phones are having a promo this month of June 2013 namely Myphone Android Invasion, purchase MyPhone A848i Duo and save Php2,000 for every unit bought, rush now before the promo will expire since it will only last until July 15, 2013. Anyway lets talk about MyPhone A848i Duo specification, by the term duo means double, as the previous MyPhone A848 has only single core processor and MyPhone A848i Duo has dual core, beside of that MyPhone A848i Duo is 3G capable while MyPhone A848 doesn't have a 3G connectivity, while most of the specs are the same, enough comparison and lets take some insights about this device, first lets start with MyPhone A848i Duo full specification. Available in the Philippines nationwide. 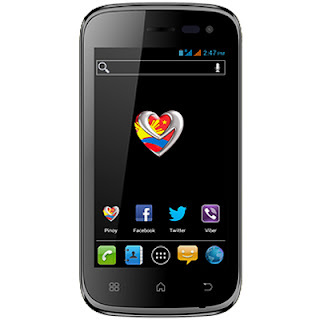 Due to Myphone Android Invasion promo MyPhone A848i Duo is now priced for only P3,990. That's a huge savings, the picture says it all. The promo can be availed nationwide, no special requirements needed, just plain cash or card. So, what are you waiting for? Take this opportunity to avail the promo and save P2,000 cause it won't last long, promo period is only until July 15, 2013. Update: Promo has extended as of August 2013! Mr. Malapitan, actually Myphone is not a Philippine made phone. It's made in China, same with Cherry Mobile, companies here order phones from China and they just rebrand it. . . .di lahat ng china phones ay fake,may original din sila,tsaka ok ang performance ng myphone A848i duo ko,nagagamit ko ang LINE,WECHAT,KAKAOTALK. . .kahit walang wifi. magkano bili nyo ngayon dito ? may free po ba itong jealycase ?? walang free na JEALYcase.. JellyAce meron.. hahaha char char lang..
pwede po bang Cnady Crush sa phone na to po? ung ibang smartphone kac kaht ICS hnd pwed, nagbabakasakali lang po sa mga may phone na to. pwed po ba ang candy crush??? May myphone branch po ba dito sa Cebu ng A848i duo and A888 duo dito sa SM cebu? Php3,990 po. Meron pa kasing promo. promo pa ba hanggang ngayon? Where I can buy this fone?Meron pa bang available na ganitong fone?